Plan for lunch and a leisurely tour of a 60-acre working plantation on a visit to MAUI TROPICAL PLANTATION AND COUNTRY STORE. Located in WAIKAPU, the plantation is a showcase for the production of papaya, guava, mango, star fruit, macadamia nuts, coffee, avocado, bananas and sugar cane. There also are fields of tropical flowers for your visual pleasure. BONUS: The plantation’s Country Store and on-property shops are stocked with made-in-Hawai‘i gifts for your friends and family! Passengers board trams for TOURS, which are narrated and inexpensive. Expect to acquire some knowledge of the lesser-known facts of Maui’s agriculture history and tropical fruit production. Don’t be surprised if a wedding party shows up mid-tour; the plantation is a popular destination for saying “I do.” MILL HOUSE, a dining venue on property, offers delicious lunch and dinner menus prepared with local ingredients. Mill House also hosts shows, concerts and a recently added “CHEF’S TABLE,” a specialty EVENING CULINARY ADVENTURE and seven-course meal on plantation grounds. The plantation is located off Honoapi‘ilani Highway (Route 30) between mile markers 2 and 3. Admission to the grounds is free. 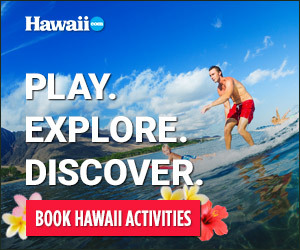 Visit mauitropicalplanation.com. HINT: Watch for the WINDMILL on the way to ‘IAO VALLEY.